"The investor's chief problem- and his worst enemy- is likely to be himself. 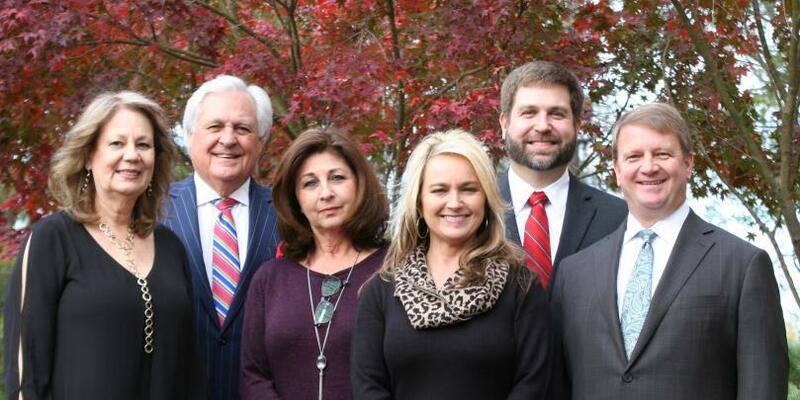 With over fifty years of combined experience in this business, The Groce & Oakley Wealth Management Group has advised executives, professionals, and business owners on how to manage, preserve, and transfer wealth to successive generations. Over that period of time, the one constant we have seen is change. Change brought about not only in the dynamics and risk associated with the markets and economy, but also in the decisions and challenges that our clients face. A necessary and critical part of our approach is to grow and continue to develop our skills as advisors in order to address our clients' changing needs. Because we work as a team, you benefit from our collective knowledge as well as each individual's perspective and distinctive skills. We approach our clients holistically and offer access to firm experts in such specialized disciplines as wealth transfer, risk mitigation, and philanthropic services. In other words, The Groce & Oakley Wealth Management Group is an experienced and dedicated team that delivers world class resources and experience to our valued clients. To keep ahead of the steepening curve that characterizes our industry, we have embarked on a career-long education process, earning a number of prestigious designations that allow us to deliver the most-cutting edge knowledge to our clients, and better serve you. Larry and Lawrence are both Certified Financial Planners®, well equipped to help you create a comprehensive plan with tangible recommendations for achieving even your most complex objectives. Lawrence is a Certified Investment Management Analyst®, the only credential designed specifically for advisors who want to attain a higher level of competency as an advanced investment consultant. He is also a Certified Private Wealth Advisor®, which puts him and his team at the forefront of advanced wealth management trends and specific strategies designed to minimize taxes, manage concentrated stock positions, monetize and protect assets, maximize growth, and transfer wealth according to your goals and objectives. Before entering the financial services industry, Larry was a practicing CPA. Since that time, he has met the rigorous criteria required to become a Morgan Stanley designated Senior Portfolio Manager, providing discretionary management services for our clients through a variety of proprietary portfolio strategies. Lawrence is a designated Alternative Investments Director, accepted into a comprehensive program developed for experienced advisors who have significantly incorporated alternative investments into their practice. Incorporating these assets into a traditional portfolio may help you to reduce overall volatility while increasing portfolio diversification. And finally, as Family Wealth Director, Lawrence and our team are able to connect you to a comprehensive suite of family office services – a unique combination of resources, experience, and access to dedicated professionals. For more information on this status, please visit our Family Wealth Director tab. We approach our clients holistically and offer access to the diverse resources needed to provide you with highly customized, quality solutions. In working with a Family Wealth Director, you gain access to accomplished professionals who can provide the intellectual capital, vast resources, and advisory services that include, and extend well beyond, investment management. These professionals work closely with us, as we collaborate with your attorney, accountant, and other advisors to create your customized plan. Our goal is to understand your vision, preferences and unique circumstances so that we can work with you to help develop an overall wealth management strategy that meets your needs and helps you and your family reach your goals. Before we make specific recommendations, we take the time to understand who you are as a person, as well as an investor, and what you really hope to achieve for yourself and your family. That means an in-depth discussion of your current finances, future objectives, attitude toward risk and other circumstances that might assist us in developing a customized plan. We analyze your input and develop a formal financial plan that contains specific recommendations designed to meet the objectives you established. Recommendations may encompass such varied disciplines as retirement planning, liability management, executive compensation issues, business succession and wealth transfer. Importantly, your plan contains a customized asset allocation based on your total finances, including accounts held at other firms. After presenting your plan to you, we work closely with you to bring it to life. That often involves consultation with your attorney, accountant and other advisors. And it will also involve the development of an investment strategy to execute the asset allocation created for you in the Formulation phase of our process. As you would expect, we believe that ongoing communication is a vital component of our business. We strive to keep abreast of your changing financial needs and provide viable solutions to meet them. This means constant monitoring of your plan and portfolio to make certain your assets are positioned to meet your changing circumstances, as well as fluctuating market conditions. We realize that you have a number of choices available to you when selecting a Financial Advisor. And we are acutely aware that by choosing us, you are entrusting us with not only your assets, but your family’s future. That is why we’ve structured our practice to provide you with the service you deserve. In addition to Larry, Lawrence, and Hunter, The Groce & Oakley Wealth Management Group includes three experienced Client Service Associates who are committed to simplifying your financial life. When you call our office, you’ll reach a person who understands your particular objectives and situation. When you leave a message, your call will be returned promptly. When you’re seeking any kind of financial advice from “what should I do if interest rates rise?” to “when should I begin taking Social Security payments?”, you can count on The Groce & Oakley Wealth Management Group to help you make more informed decisions. Larry began his career as a CPA but after practicing for over a decade, he realized that he wanted to help people shape their futures, not just review their pasts. As a Financial Advisor at EF Hutton and a producing Branch Manager at JC Bradford and its successor firms, PaineWebber and UBS, Larry fulfilled his ambition. When he joined Morgan Stanley in 2008, he was an accomplished investment manager who had already created several of the proprietary models that The Groce & Oakley Wealth Management Group uses with clients today. Larry joined forces with Lawrence Oakley in 2014 after realizing that his skills complemented those of his new partner. Together, they could provide clients with discretionary investment management and comprehensive wealth management that encompassed such non-investment disciplines as wealth transfer, liability management and business succession planning. Larry manages nine distinct portfolios for clients with approaches that range from moderate to aggressive. By managing his clients’ portfolios, Larry gains a greater understanding of who they are and what’s really important to them. He also believes that his hands-on approach better enables him to control investment risk. A graduate of Troy University with a BS in Accounting, Larry has continued his education to meet the increasingly complex demands of affluent clients and their families. Like his partner Lawrence, he has earned the prestigious Certified Financial Planner designation. Larry is a native Alabamian who has lived in the Montgomery area for most of his adult life. 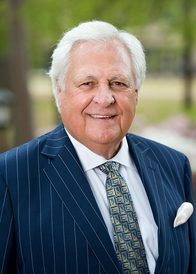 He is the former Chairman of the Montgomery Chamber of Commerce, having served on the Chamber’s Executive Board for the six years prior to assuming that post. Larry resides in Montgomery with his wife Sue. They have one grown son and two grandchildren. Upon entering the financial services industry in 1990, Lawrence heard an estate planning attorney state that “family wealth is seldom passed beyond the third generation.” He has dedicated his career to rectifying this situation. Lawrence is a Morgan Stanley Family Wealth Director, one of less than 3% of Financial Advisors at the firm to achieve that distinction. His designation is the result of rigorous study that focuses on understanding the dynamics of wealthy families, as well as their balance sheets. He takes pride in helping clients sustain not only their wealth from generation to generation, but their values and priorities. 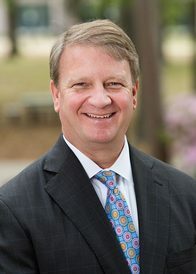 A graduate of The University of Alabama with a BS in Commerce and Business Administration, Lawrence began his career at Merrill Lynch before joining Morgan Stanley a decade later. He established the Groce & Oakley Wealth Management Group with Larry Groce when he realized that they had similar work ethics and the complementary skills required to help wealthy clients and their families meet their most pressing challenges. In addition to his Family Wealth Director credential, Lawrence is a Certified Financial Planner, Certified Investment Management Analyst and Charter Private Wealth Advisor – evidence of his commitment to education that he believes is mandatory in today’s complex financial environment. Outside the office, Lawrence serves as a member of the Montgomery Area Food Bank and Executive Board of the Boy Scouts of America, Tukabatchee Area Council. He is also a founding member of the Pike Road Lions Club and has been a member of the Montgomery Estate Planning Council for the past five years. An avid hunter and outdoorsman, Lawrence lives in Pike Road with his wife and four children. Hunter is the newest face to join the Groce & Oakley Wealth Management Team. 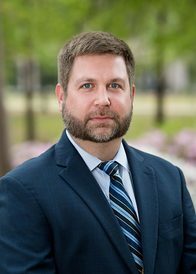 Prior to starting at Morgan Stanley, Hunter dedicated over a decade of his career to Alfa Mutual Insurance, where he worked as Information Security Specialist. Through this role, Hunter was able to develop a high level of responsibility, working to help various business units achieve their stated goals and objectives. Most notably, this role was highly communicative, requiring Hunter to translate technical information into a more logical, comprehensible message. When the opportunity to work at Morgan Stanley presented itself, Hunter accepted the challenge, fully embracing the chance to enhance the communication skills gained from his previous career. Hunter adds a new perspective and energy to the team, and is eager to bring his own professional skill set to the dynamics of the Groce & Oakley Wealth Management Team. To support his local community, Hunter is active with the Kiwanis Club of Montgomery. A graduate of the University of Alabama, Hunter spends most of his out-of-office time with his wife and their two children, Davis and Miller, preferably tailgating together at Alabama football games. Sherry is a registered Client Service Associate, with Series 7 and 63 licenses and Insurance licensed. She is a financial services veteran with more than 20 years experience in multiple roles including operations, office managers assistant, Morgan Stanley on-line liaison and client service associate. This diverse experience uniquely qualifies her to be the teams chief problem solver. When issues arise that require special attention, her experience and expertise are critical in finding a sensible and expeditious solution. 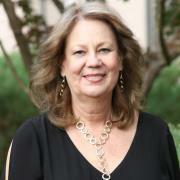 Sherry has been working with Lawrence Oakley since 2004 and is an integral part of the teams client experience. Because she has invested the time and energy to become registered, she works closely with Larry and Lawrence to implement investment strategies for clients. She communicates regularly with clients conducting statement reviews, relaying information, and delivering the exceptional service that The Groce and Oakley Wealth Management Groups clients have come to enjoy. 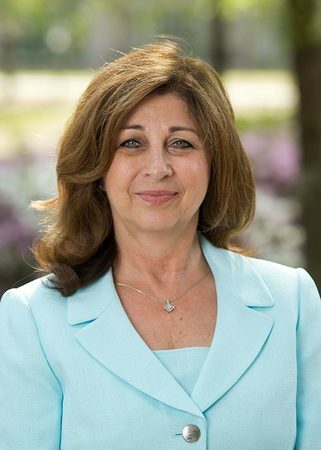 Sherry resides in Deatsville, AL with her husband Mitch and spends much of her spare time with her five children and twelve grandchildren, all of whom live in Alabama. Muriel performs a wide variety of operational functions on our team including helping us stay on track. Her attention to detail and ability to systematize repetitive tasks serves her well as our team manager. She facilitates good communication among team members with weekly meetings and monitors our progress toward achieving our goals. Additionally, Muriel works closely with Larry gathering and organizing information necessary for him to manage our proprietary portfolios. In her client responsibilities, she helps our clients toward their important financial objectives by administering client fund flows as well as keeping client information current. 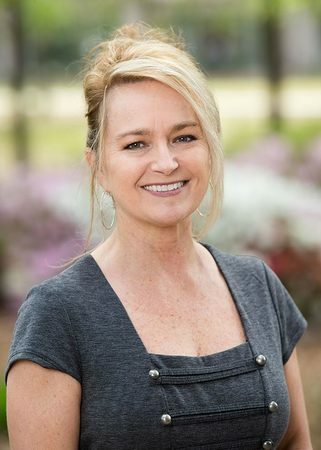 A registered nurse who also taught nursing at Auburn University at Montgomery, Muriel joined Morgan Stanley in 2008 after working with Larry Groce at UBS for two years. She received her BS in Nursing from South Dakota University and earned two Masters Degrees, an MS in Nursing from University of Texas Health Science Center and an MED in Guidance Counseling from South Dakota State University. Muriel is an active member of the Vaughn Forest Baptist Church. She and her husband Paul reside in Montgomery and have one grown daughter. Julie may be the first person you talk to when calling The Groce & Oakley Wealth Management Group. She joined Morgan Stanley in 2012 after serving as a licensed social worker for more than 10 years. Julie is an invaluable partner in our reporting, evaluating and presentation efforts. She works closely with Larry and Lawrence to create presentations that help clients understand how their portfolio is currently positioned, identify areas that need attention, and provide solutions that help them achieve their goals. She also coordinates our client events that are designed to help us get to know you better and provide you with the opportunity to meet other clients. Julie is a graduate of Auburn University with a BA in Psychology. She also has her Series 66 & 7 license with the industry and is a native Alabamian who currently resides in Montgomery.